When it comes time to get me presents, my mom has great taste. She collected cards with me as a kid, so it’s not surprising. For Christmas she got me a blaster of this year’s Upper Deck hockey and a factory set of this year’s Donruss football. Her goal was to get me something that I wouldn’t buy normally but wanted. She hit it on the head this year. Pulled 2 inserts and 2 Young Guns cards. Young Guns were of Denis Gurianov & Samuel Morin. 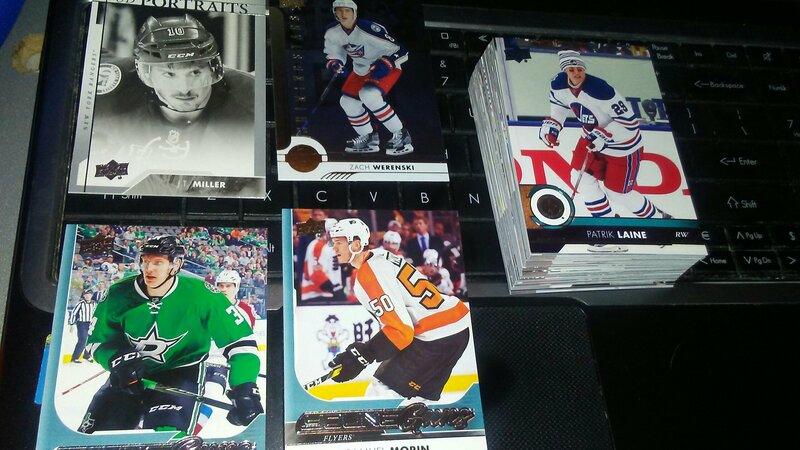 Inserts were an UD Portraits of JT Miller and Shining Stars of Zach Werenski. I was hoping to pull some Vegas Knights base cards but didn’t get any. I have only one Young Guns card on my wishlist in Adrian Kempe so it was unrealistic to expect to land that. 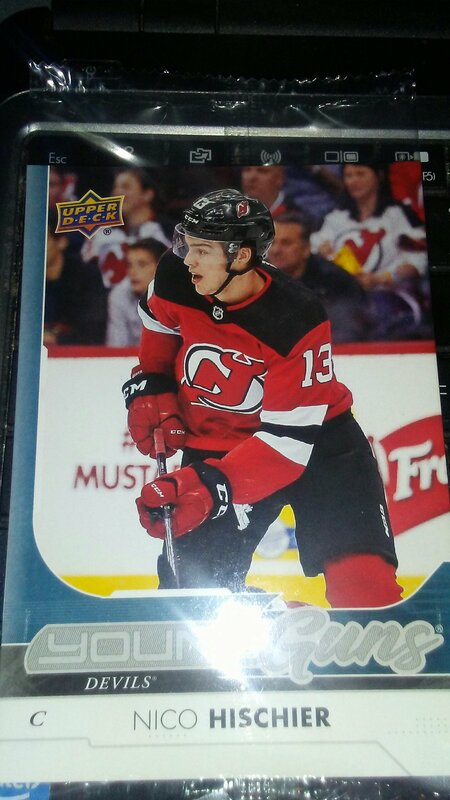 As for the oversized card, I pulled one of the best card’s possible in Nico Hischier. 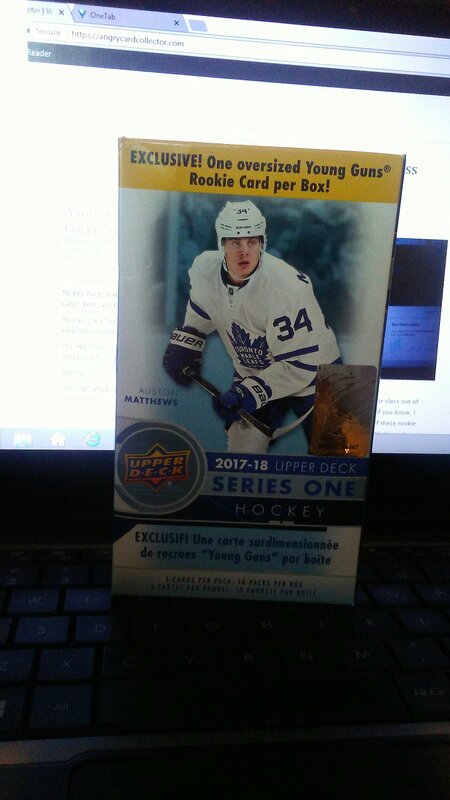 I don’t usually buy new products but with demand for this rookie class out of control, I was open to it if I came across a few packs. As most of you know, I collect basketball normally. After seeing some of the pictures of these rookie cards, I wanted some for myself. After seeing Donovan Mitchell light up the Clippers when I attended a game a few weeks ago, I knew that I had to get his rookie. 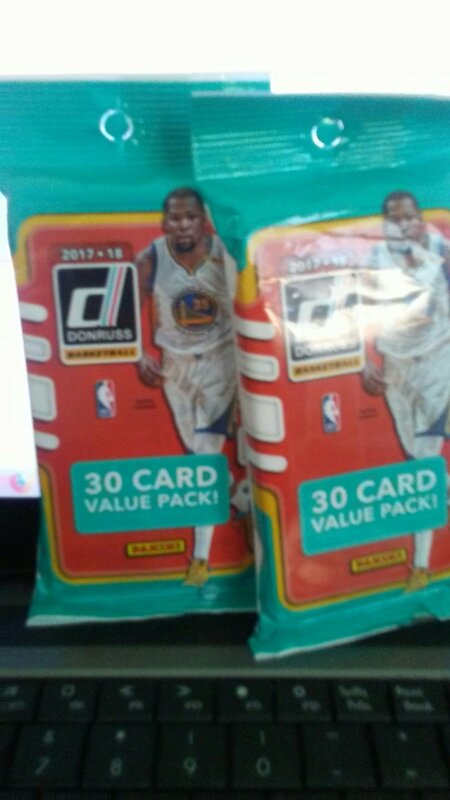 So at Target I came across rack packs of Donruss and picked all 5 up. I originally was going to treat myself to 3 but at $4.99 they were cheaper than I was expecting. Pack 1: I scored what I wanted in the Mitchell rookie. 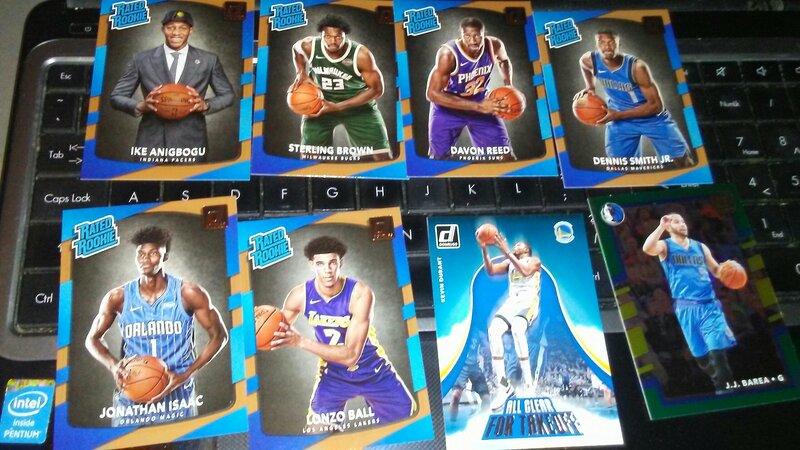 Pack 2: Dennis Smith and Lonzo Ball rookie in the same pack. Not bad. Who am I kidding, most collectors dream of this. 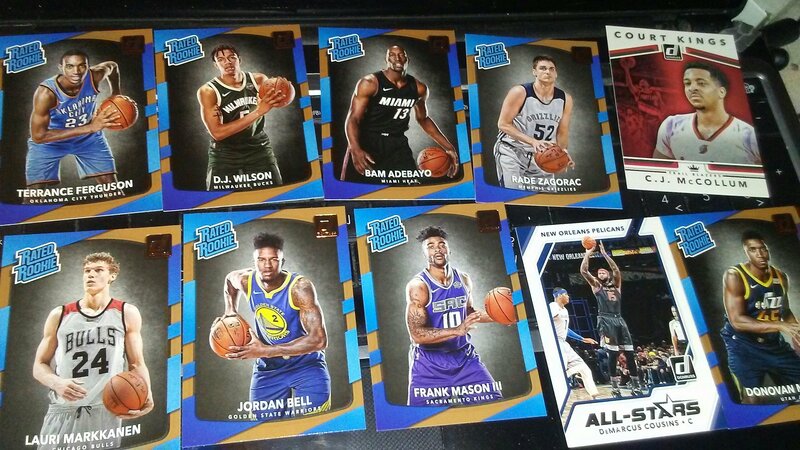 My favorite pull of the pack: Jonathan Isaac. 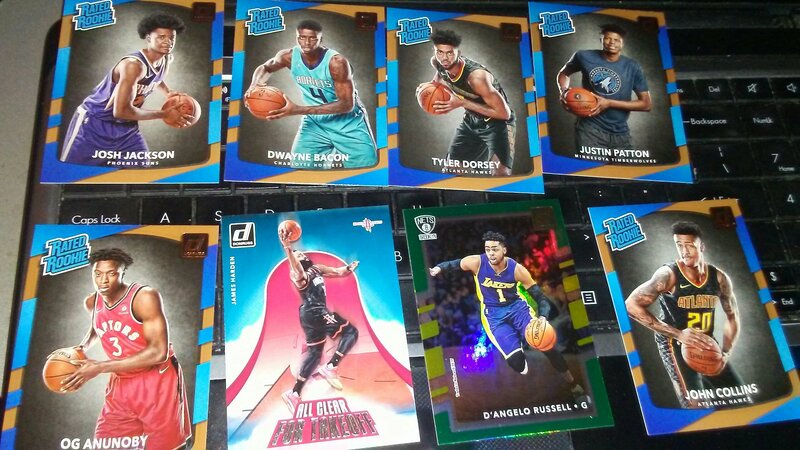 Pack 3: It looks like packs with the green parallels have 2 less rookie cards. Josh Jackson and OG Anunoby are my highlights but I wouldn’t be surprised if any of these rookies from this pack make something of themselves. Something that I can’t say about rookies in other packs. 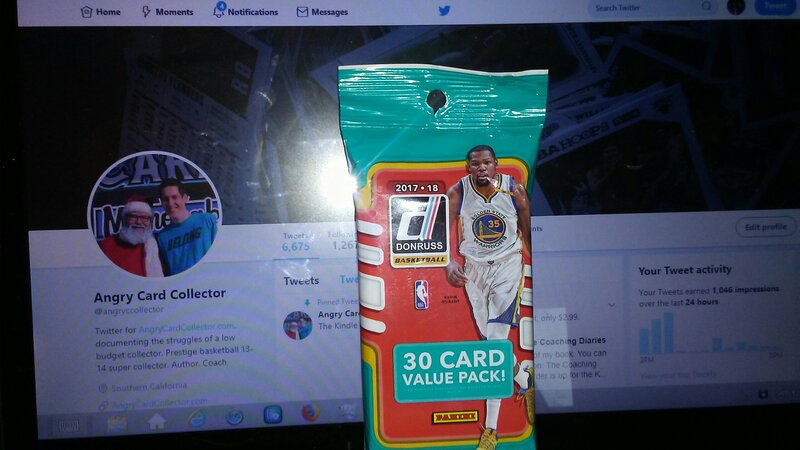 Pack 4: This is probably the pack that if I just picked it up as a one pack purchase, I would be the happiest to get. 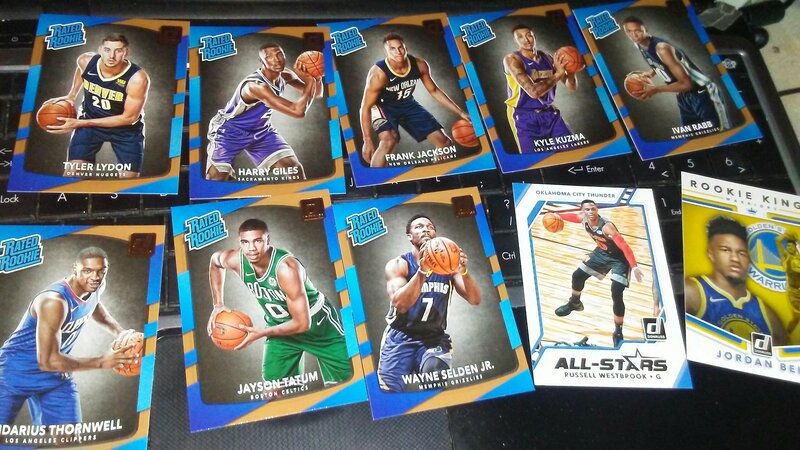 Kyle Kuzma, Jayson Tatum, and two Memphis rookie cards. The Grizz are one of my favorite basketball teams; then again I have a few favorites. 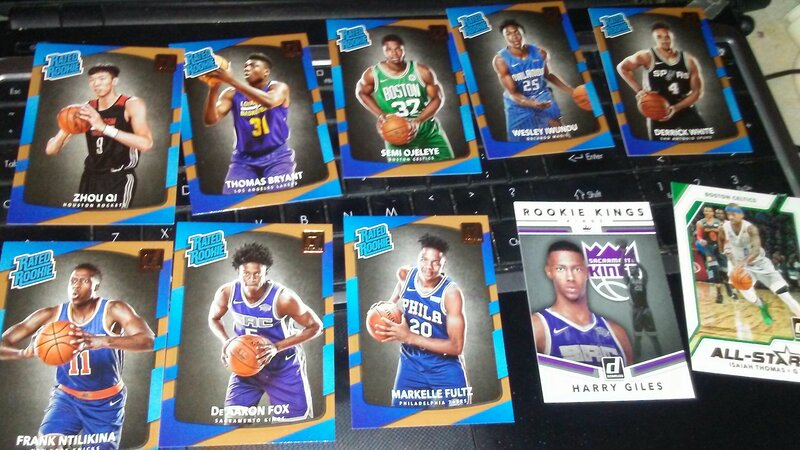 Jordan Bell has been getting a ton of hype and the Rookie Kings cards are beautiful. Pack 5: Another great pack. Ntilikina, De’Aaron Fox, and Markelle Fultz rookies. 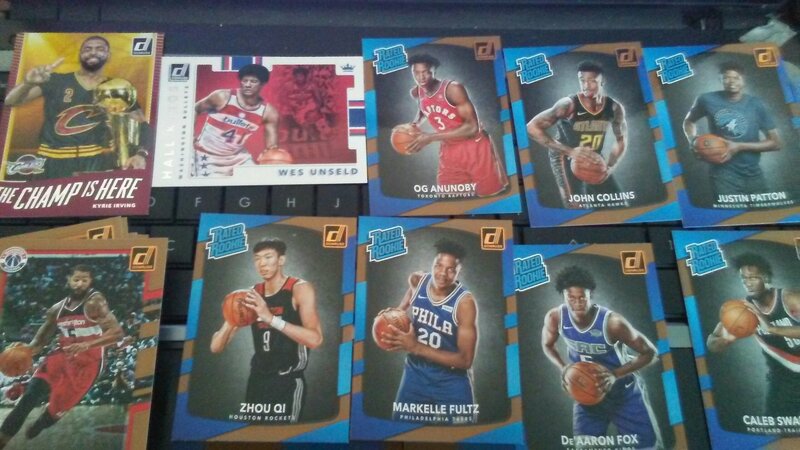 Plus a Harry Giles Rookie Kings insert. Blaster boxes for this year are going for $29.99 so I paid less than a blaster box and got a ton of rookies. Truthfully, I am ecstatic for my pulls. I will be honest, if I was a betting person, I would bet on a ton of busts in this class. That said, it is nice to have nice things. At $4.99 for a rack pack, you cannot go wrong. Rated Rookie’s are the best rookie cards to get. So last Thursday I went to the Clippers/Jazz game at Staples Center. I had good seats but overpaid considering 8 of the top 10 players worth seeing on both teams did not play. That’s besides the point because I had a good time with my best friend who was in town. During the game we talked about how the Clippers have become our default favorite team. Consequently we wanted to grab an item from the team store. My buddy wanted to buy a stocking to take home but decided on the mystery bag because it promised 3 items for the price of a stocking. We bought 2 mystery bags because why not? Since I was driving, I did not open mine until recently. We got the same items in our mystery bags. You can see the picture below of what was in the mystery bag. I got a holiday shirt, stocking, and Deandre Jordan ornament. Unfortunately, my ornament is missing his hand. The piece wasn’t even in the bag and I was disappointed that someone would blatantly place an item like this in the bag. Jordan is one of my favorite players in the game but now I have a useless ornament. I hope the Clippers make it right as I contacted them – I will keep everyone posted. In the meantime, if you go to a game, these are worth it but open it up immediately.